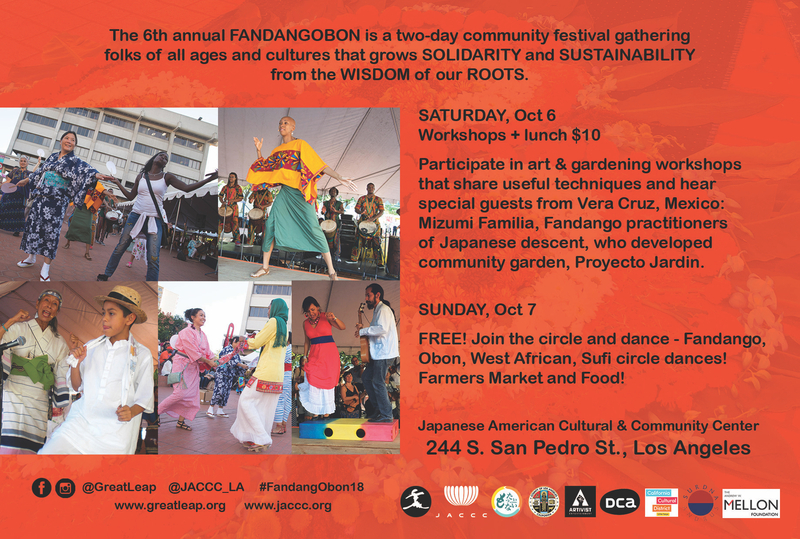 The 6th annual FandangObon (FO) Project is a two-day family festival at Japanese American Cultural & Community Center – JACCC, the historic cultural crossroads of Boyle Heights and Bronzeville. 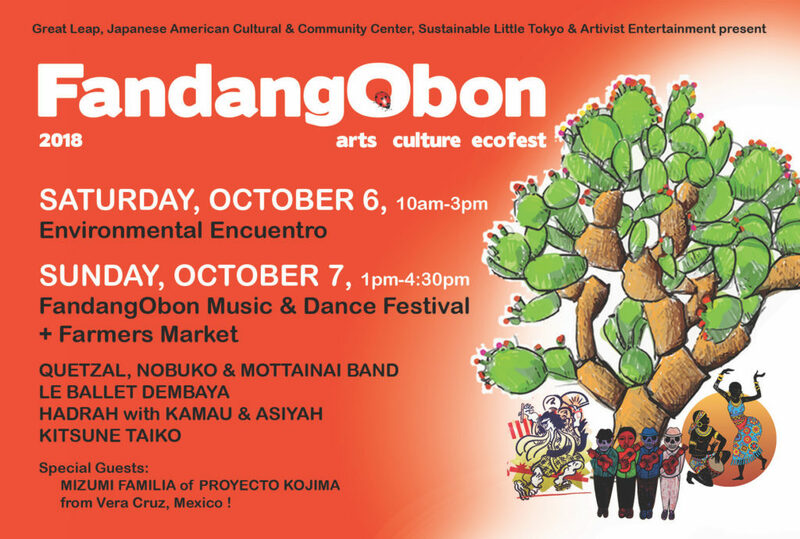 Hundreds of folks of all ages and cultures will celebrate connections to each other and mother earth. Co-presented by JACCC, Great Leap, Inc., Artivist Entertainment, and Sustainable Little Tokyo.